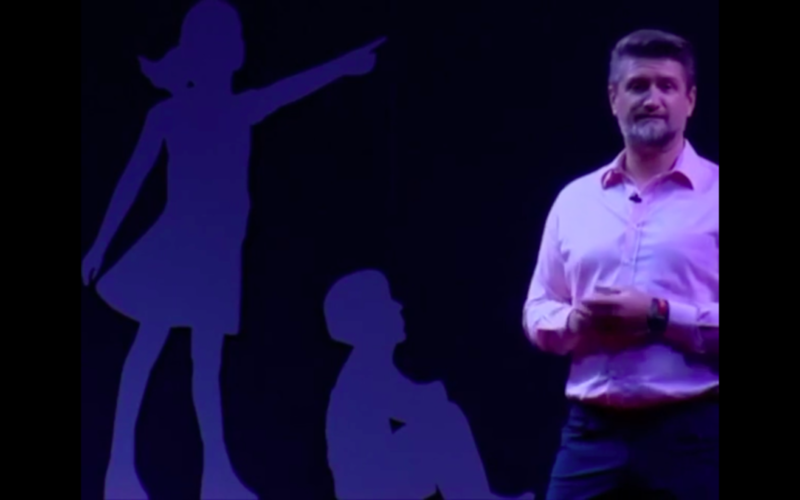 Why Hal Bosher’s Speech at TEDx Yangon was awesome! This article will give you the lessons to become more effective public-speaker and presenter. Everyone can feel in his or her guts whether a speech is good or bad. But, most will not be able to tell you the reasons why they feel that way. Here is where I come in. Like I said in my previous post, I am like a skilled speech surgeon. I am going to dissect this speech so that we all can learn the good techniques the speaker has used. To the untrained ears and eyes, these techniques are not visible. I will briefly describe the structure of the speech first before going into details. Let’s start with the title. “One Country, Two Systems: Myanmar’s Financial Market.” This is a great title because it makes you wonder what are the two systems and what is the different. Whoever wrote this speech is a skilled craftsman. I can imagine that there must have been a few drafts before this became the final speech. A great speech cannot be achieved in the first draft. The structure of the speech is designed to take the audience on a discovery journey with lots of fantastic questions. Who has a Myanmar bank account? What do you do with that bank account? Can you borrow money from the bank? Do Myanmar really not borrow? Where are all the deposits going? Where is the giving to rich part comes in? Am I suggesting that we give up on Myanmar’s formal banking system? When I break it down for you this way, you can see that the speech follows a logical flow. And he gave simple and easy to understand answers. Because it was designed like a discovery journey with questions after questions, a boring subject becomes interesting. It also becomes engaging. 🔸Everybody in Myanmar is lending, except the bank. 🔸Everybody in Myanmar is borrowing, just not from the bank. 🔺Formal system serves the needs of select few. 🔺Informal system serves the needs of everybody else. 🔸In the beginning of the speech, he stated that financial inclusion is not about how many people have bank accounts. In the conclusion, he answered that it is about including banks in the game. ✅ He used stories and examples of individuals rather than a generic population. It helped the speech to be emotionally powerful. ✅ Thought provoking and a different perspective on an old issue. Hal is also an awesome speaker. This is a powerful combination. Powerful content in the hands of a powerful speaker. ✅ He was very conversational. He spoked slowly and took his time. He was not rushing. ✅ He paused really well. Pauses are the most powerful tools in Public Speaking. Pauses pulled audience into his speech. ✅ He has a strong stance. He stood rooted to the ground without swaying too much. ✅ He clearly cared about the message he was presenting. ✅ Good eye-contact with the audience. ✅ Showed that he did his homework by speaking Myanmar words. How do we improve this awesome speech? 🔺 He should have avoided the annoying slide transition. It was not necessary and it does not add any value. 🔺 This was how he started. He said “Let’s do it. So…..” I am being a bit harsh here because his standard was so high. The “Let’s do it. So….” was also not necessary. This was about the only time he showed a bit of nerves. It was like a war-cry for him, like chest pumping to put himself on a different mental state. This was an awesome speech and I enjoyed this speech so much. Thanks Hal!!! I hope that you can now see the techniques great speakers use and make your own presentations great. Like and share if you find this analysis useful. If you found the ideas useful and want to learn more about Public-Speaking and Presentation, please contact us @ 09 7788 6655 1 ~ 3.